The ring currently displayed is adjustable from Size 9 to 13 US. Amber : Although i don't know if it is real amber or not , What i know for sure is that they are awesome and a perfect match for my steampunk jewelry . 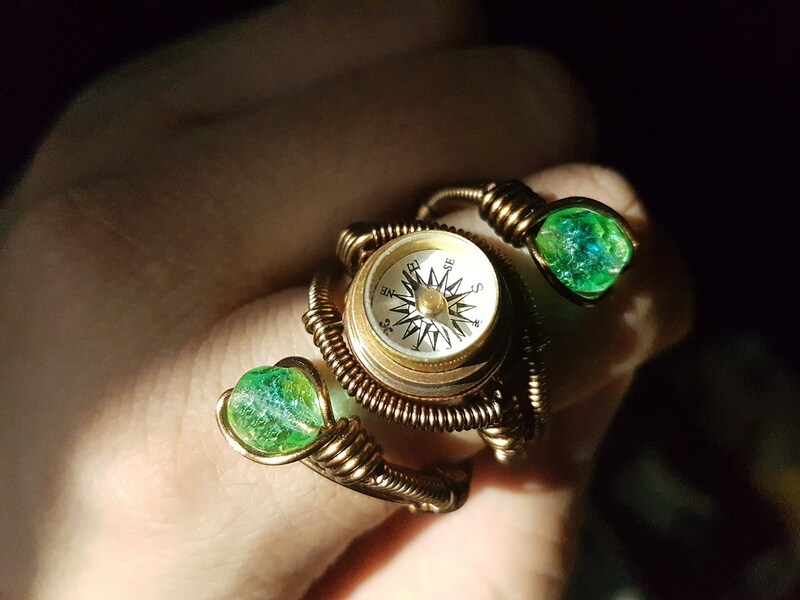 Each rings is custom made and unique. This design is more complex than my other rings and takes more time to make. Build time takes around 1-2 week . Please fully accept this before ordering.